I've never had to sew wearing a safety helmet before! There were electricians working on the catwalks above us. 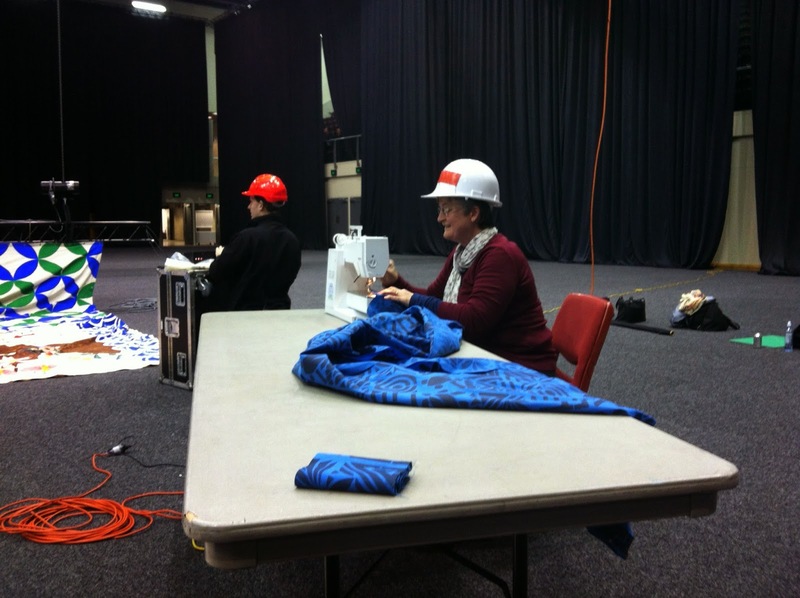 This is me sewing some last touches on the bottom of an enormous kimono which was hung in the centre of the TSB Arena for Japan Culture Day last weekend.